Why Pakistan’s Economic Growth Is Expected To Slow Down In 2019 – What To Know? 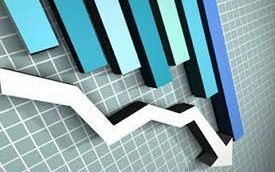 According to Asian Development Bank (ADB) report, the growth of Pakistan’s Economy is set to slump further to 3.9% in the fiscal year 2019 from 5.2% in 2018. Why the Gross Domestic Product (GDP) of Pakistan is expected to slow down in 2019? In its latest publication called Asian Development Outlook 2019, the bank said, Pakistan’s economic growth decelerated in the fiscal year 2018 regardless of revived agriculture. It quoted the “macroeconomic challenges” faced by the cash-strapped country for deceleration. The expansionary fiscal policy markedly widened the Budget and current account deficits and drained foreign exchange, it said. Pakistan’s GDP growth is forecast to decelerate further to 3.9% in Fiscal Year 2019 as Macroeconomic challenges continue and despite steps to tighten fiscal and monetary policies to rein in high and unsustainable twin deficits. Continued fiscal consolidation in Fiscal Year 2020 will keep growth subdued at 3.6%, the bank said.